Truck Driving Company stiffing Truckers during recession. R. D. Miller Trucking. This blog just received news of a horrible occurrence. Troy Nance, a 15 year truck driving veteran, was overjoyed when he learned in January he could finally join the workforce again after being unemployed over 6 months. He was looking forward to driving with R. D. Miller Trucking in Blooming Grove, Texas, located in a Rural Community. In a county where the median income is $31,268 and 18.20% of the population below the poverty level, Mr. Nance was eager to start driving again, unaware of what was to come. After hitting the road, R.D. Miller Trucking instructed Nance to start delivering his loads, which took him to North Dakota, Wisconsin, Minnesota, Chicago, Louisiana, and Houston Texas. All of this between January 1st and 25th. His employer even validated that all the loads arrived on time. When Mr. Nance went to get his paycheck, he was undoubtedly shocked to find his check $1800 short, only receiving $150, and was asked, by the company, not to file a wage claim. He was even given the excuse that the owners wife ran away with the money, lastly being told not to call the offices again. Truck driving is one of the most respected professions, and is the backbone of our country. 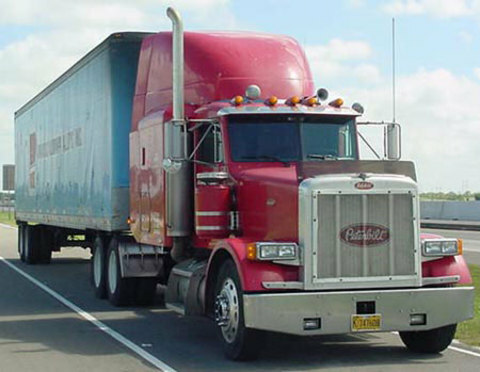 Beware of trucking companies, such as R.D. Miller Trucking in Blooming Grove, Texas who has opted not to pay for an honest days work. Please report any other companies that you know of who have burdened hard-working Americans during a hard long recession. No work is bad, If you are honest and work honestly.yeah I am also agree with you that Truck driving is one of the most respected professions, and is the backbone of country. They did the same thing to me. Luckily, I only worked for them a week. It was easy to see the writing on the wall. What goes around, comes around. Here’s an app that lets you vent your road rage and rate bad driver online.